Sure, it looks like an old school iBook, but even if we had the $350,000 dollars to buy it (which we don't), we'd still take a pass. Made by Dutch company, Ego, the Tulip Ego Diamond has 470 flawless diamonds shaped in tulip form on the notebook's lid. Spec-wise, your $350k gets you a 12.1-inch notebook powered by a single-core AMD Turion processor. Yep, that's pretty much all the horsepower you get. 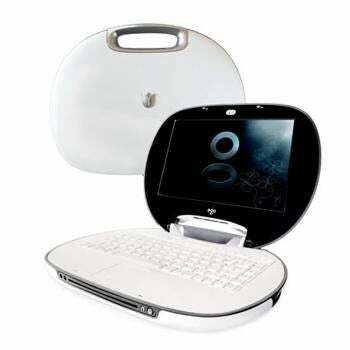 Ego also has a "more affordable" Tulip laptop ($5,000), which has the same features sans diamonds. Close up shot of the laptop you'll never own after the jump.